This recipe makes about 15 servings and it will fit into a 2-quart crockpot. Turn your crockpot on high. Add the softened cream cheese to the crockpot. Let the cream cheese warm up a bit to make it easier to mix. Then drain and add the chicken, dressing, and cheddar cheese to the crockpot and stir together. Let the mixture melt together before adding the hot sauce. Begin adding Frank’s about 1/2 cup at a time until it reaches the desired heat (I usually put about 2 cups in mine). 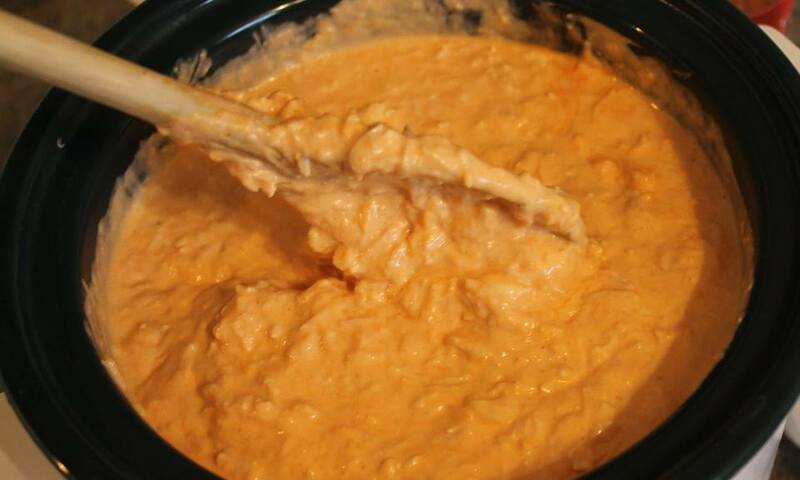 Allow the dip to melt together until it becomes creamy, about an hour total. This might differ depending on your crockpot. Just watch it, stir as often as necessary. You can turn the dip onto "warm” setting to keep it melty. Dip with scoops tortilla chips.